Back with another small batch of publicly-shared tunes that you guys have requested! I've been enjoying a lot of the new Forzathon/Challenge vehicles you all have been requesting private tunes for, so I figured I should go ahead and release a few public tunes as well! Thank you so much for all the requests and the thousands of downloads each day, you guys are awesome! As always, the latest tunes will be posted below and also added to the masterlist of tunes found on the first page of this thread. I'm confident you'll continue enjoy! Because so many of you have been requesting some smooth/agile Drift tunes to use in the new online 'Drift Adventures' mode, I decided to go ahead and tune a few of the Formula Drift cars! If you don't have the DLC, I also tried to create a few non-DLC Drift tunes as well! These tunes are now publicly shared and are available for download in game. I'm confident that you guys will enjoy, thank you for all of the ideas & tune requests! Although I have more tunes that I'm currently working on, I decided to only release the vehicles below to ensure that I don't rush and that you all receive quality tunes for your cars. Thank you so much for all the requests and the thousands of downloads each day, you guys are awesome! I had in a long time been looking for a good RWD MC12 FE (MC Hammer) and you absolutly nailed it thank you very much. I meant to send you a message last week, but I completed and uploaded the 1973 Trans Am AWD All Terrain tune! The car takes some getting used to, but it is very fun and still competitive. If you have any other tune requests, don't hesitate to post/PM them. I'm confident that you will enjoy, thank you for the tune request! Thanks! I'll definitely check it out after work tonight. Should certainly be interesting. Hey can you do a s1 1987 trans am road race/ grip tune? I've searched for you thru the tuning setups menu using everything from a short kbow to the full case sensitive, but nothing comes up. How can I find your tunes, and are all tunes locked, or only if the owner wants them that way? Thanks! I can't find anything under your name search in tunes setup, how do I find your tunes? I've seen a few tunes that had a good bit of high speed mid corner understeer, so I did what I could to make the vehicle more neutral while still remaining stable, so I knew I had to create a tune and do some testing. I'm happy to hear you're enjoying, thank you for the kind words! Would you like the car to remain Rear Wheel Drive or would you like to have it be All Wheel Drive? I'll see if I'm able to make the vehicle in S1 with RWD while still being controlled properly. Thank you for the request! Hey, pleasure to meet you! Uploaded tunes are automatically locked, sadly there's nothing I can do about that. 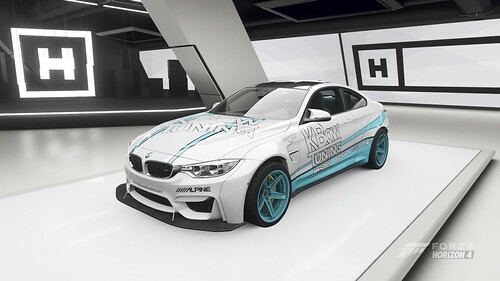 - At the Horizon Festival (or a house/garage), go to "Upgrades & Tuning"
- Go to "Find New Tunes"
- Press "Download and Install"
I hope you're able to get this working. If you need any help, don't hesitate to let me know! Hey, although I wasn't sure if you wanted the car to be AWD or RWD, I went ahead and just finished up tuning an S1 Class RWD 1987 Pontiac Trans Am for you! The vehicle handles pretty well considering it is very high powered. The build is maxed on grip & is tuned to be relatively neutral in the corners. Because the car has so much power, it will take some throttle control to make the vehicle perform to its fullest potential. Overall, this was a very fun build. The tune is uploaded and available for download right now. Thank you for the request, I'm confident you will enjoy! Because so many of you have been requesting some smooth/agile Drift tunes to use in the new online 'Drift Adventures' mode, I decided to go ahead and continue tuning a few more of the Formula Drift cars as well as Drift Tuning a few of the new DLC cars as well! If you don't have the DLC, I also tried to create a few non-DLC Drift tunes too. These tunes are now publicly shared and are available for download in game. I'm confident that you guys will enjoy, thank you for all of the ideas & tune requests! Hi Kbow! I was wondering if you could do a full on drift tune for a BRZ?? Love the car and from what I have read about your tunes I would love you to do one if you could! !